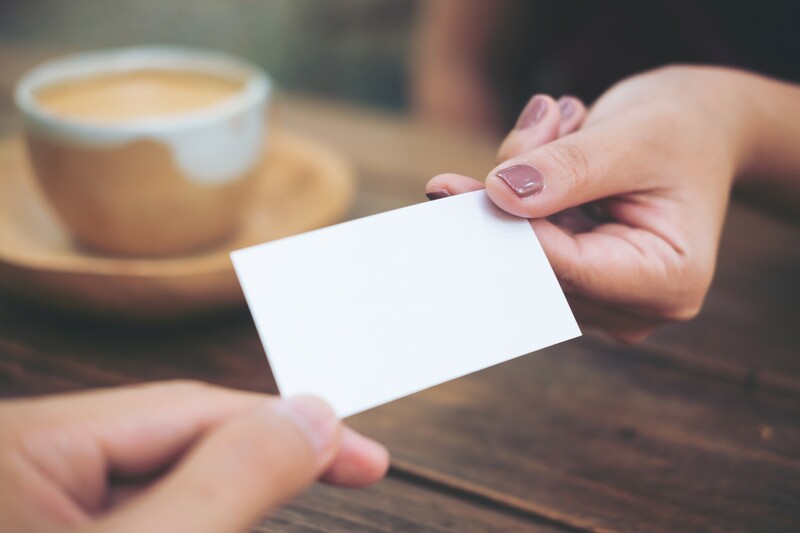 A personal card can turn casual conversation into a sincere offer of friendship or assistance. It personalizes a spontaneous invitation to church. It may open a door to share Jesus with someone who doesn’t yet know him. e-mail, and phone. Add a pop of color and a Bible verse. Next, work intentionally to make a habit of keeping cards with you at all times. Ask God to make you aware of people around you who need friendship, help, encouragement, or an invitation to church. Give away several cards every week for the purpose of representing Jesus. Anytime you’re waiting in line, realize that God placed you there: at the post office, waiting room, amusement park, bus stop, checkout line. Get your card ready, and begin a conversation. To personalize a conversation with newcomers at church events, share a card. If you teach preschoolers, give a card to parents. When visiting a sick or grieving person, leave a card. Keep a card ready to share during leisure activities. At the library, festival, or ballpark. Walking. Gathering shells on the beach. At the kids’ karate practice or play date. Intentionally get to know neighbors. Speak as they walk by when you’re outdoors. Attend homeowners meetings or neighborhood events. Share a card in everyday conversations: as you take a coffee break, go to your club, a garage sale, community meeting, volunteer activities. Then, when that young mom from the grocery e-mails you, connect her with members of the couples’ class. Follow up, be a friend, and introduce her to Jesus.